cleaning chemicals and their containers! 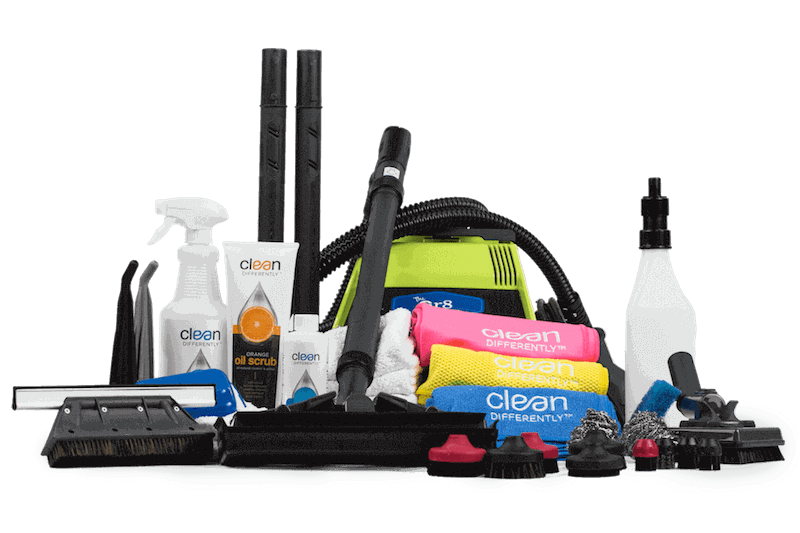 Are you tired of cleaning with toxic chemicals? Cleaning with steam is easier, faster and more effective. 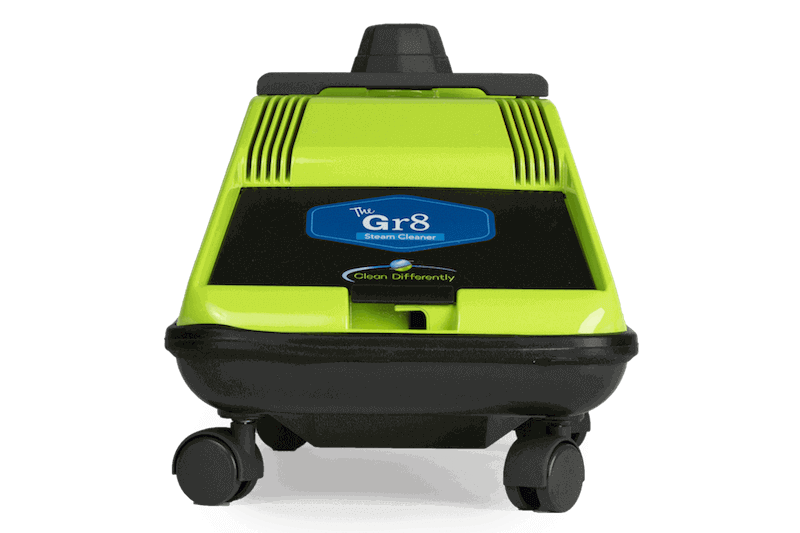 Using ordinary tap water, The Gr8 Steam Cleaner creates a dry steam that is less than 6% moisture. This powerful steam melts grease, dissolves dirt and grime in addition steam kills 99.99% of viruses and bacteria in 2 seconds. 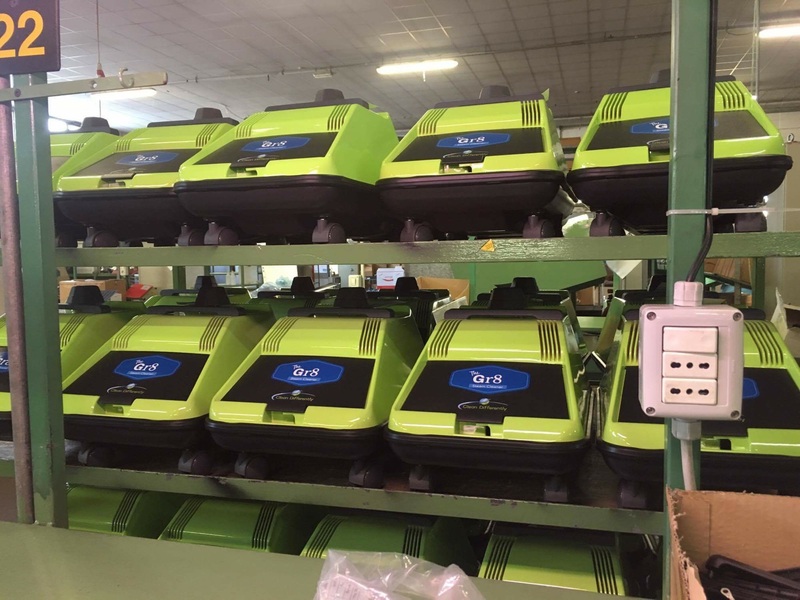 It also eliminates dust mites, flea eggs, biofilms, dander, and more in a matter of minutes using only super heated water...not several different cleaning chemicals. 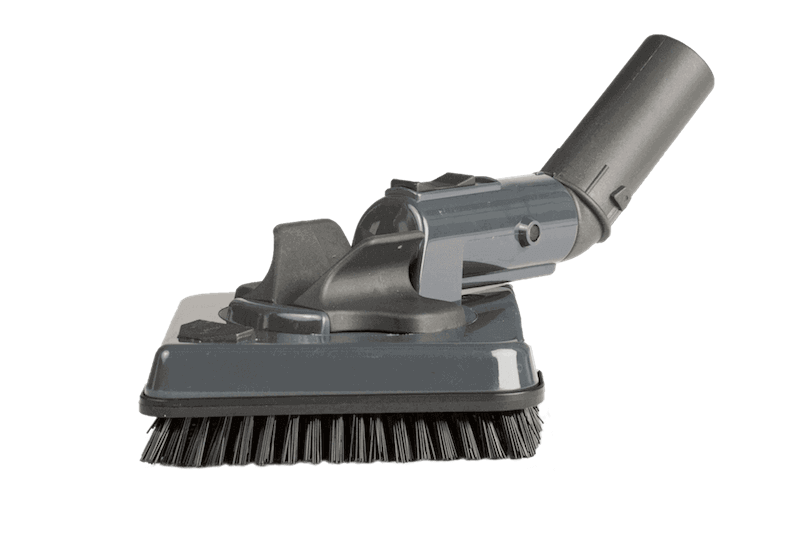 The Gr8 Steam Cleaner is equipped with an internal boiler that heats water to 300 degrees F, this high heat transforms the water into steam. This powerful steam can then be used to penetrate microscopic pores on a variety of surfaces to destroy dirt, germs, and allergens. 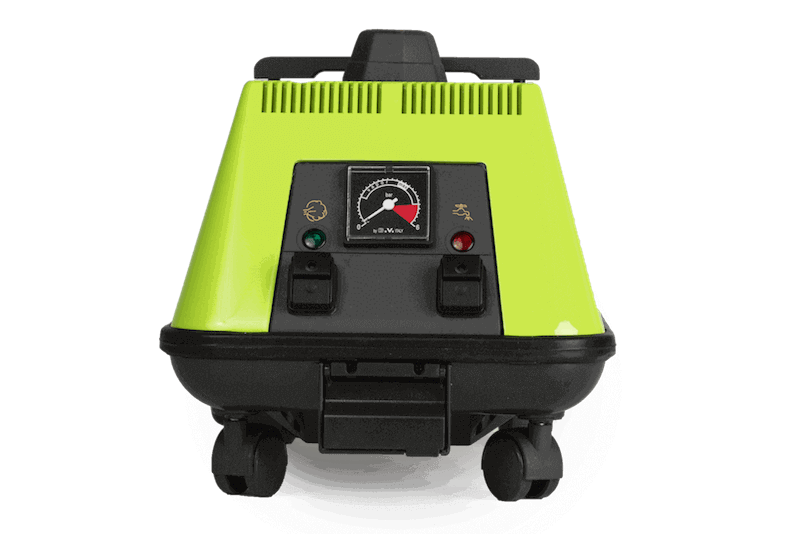 This commercial grade steam cleaner allows you to sanitize and deodorize surfaces more quickly and effectively than cleaning chemicals. Traditional deep cleaning methods combine cleaning chemicals with water to remove unwanted contaminants. Although the deep cleaner gets rid of the unwanted dirt and grime, this method is time consuming, messy and very labor intensive. It also adds something else to your indoor environment: chemical residue and annoying wet spots. 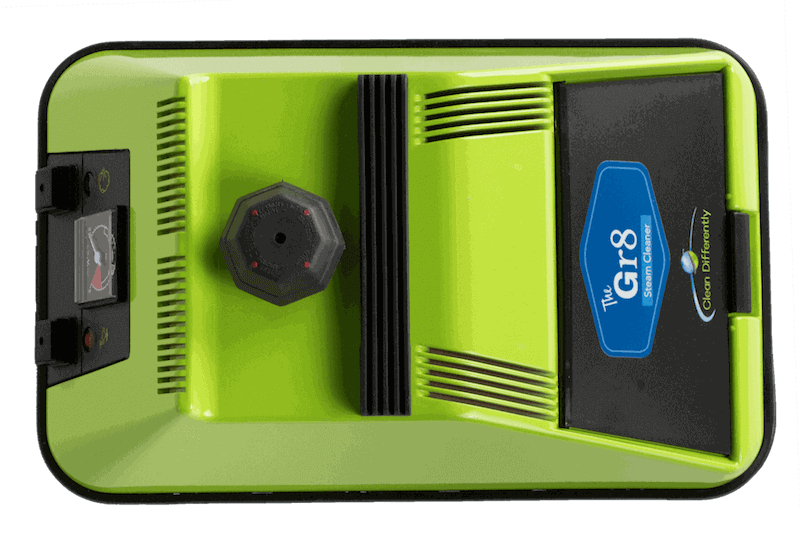 Part of the beauty of The Gr8 Steam Cleaner is that it not only cleans your area without chemicals, it won't leave a long-lasting wet residue behind. The Gr8 Steam Cleaner's technology accomplishes this by using very little water to create the steam. 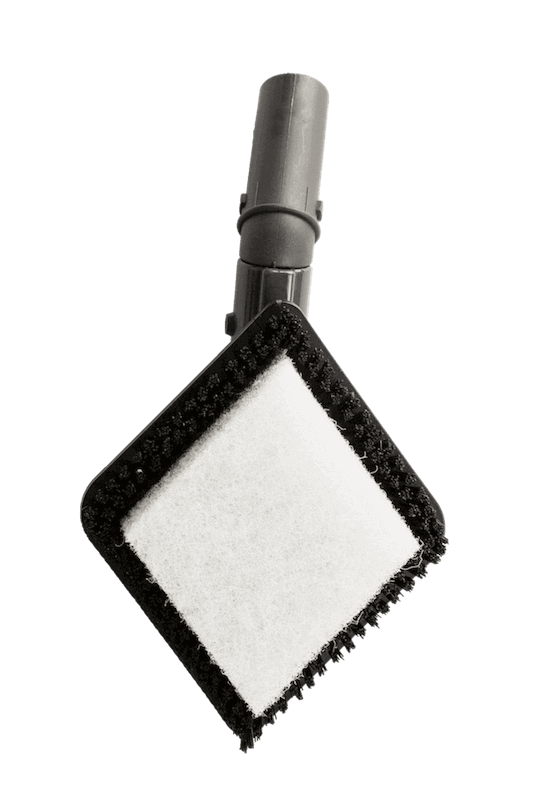 This efficient cleaning process delivers a high-temperature mist that is only about 5 to 6 percent moisture, so any mist that is left behind dries residue free within a few short minutes regardless of the surface cleaned. 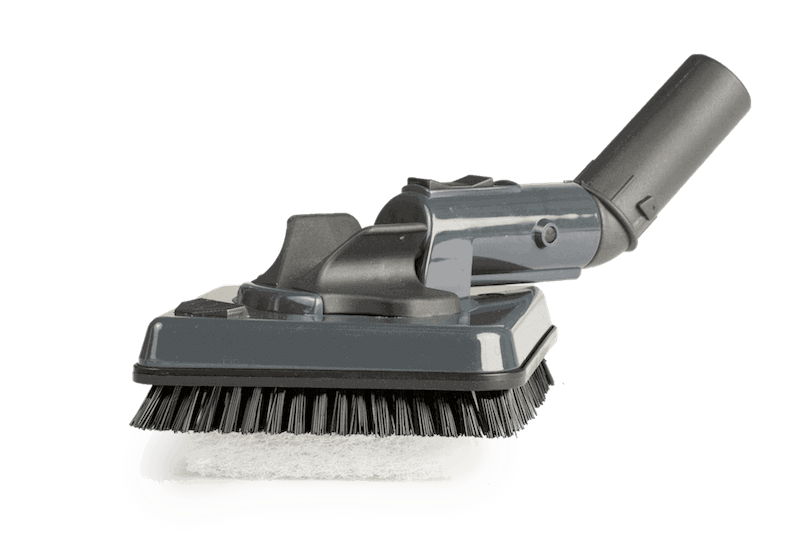 The Gr8 Steam Cleaner also reduces the risk of cross-contamination. With an ordinary sponge and liquid cleaning detergent, you risk transferring bacteria, germs, and other contaminants to other areas of your home or business while cleaning, which makes your cleaning efforts less effective. Many contaminants are also adept to survive in wet environments, making sanitization increasingly difficult. Since The Gr8 Steam Cleaner emulsifies dirt and grime, eliminates odors, bacteria, viruses, germs, and more, there is no risk of transferring these contaminants to other surfaces because they cannot survive when exposed to the hot steam. What will The Gr8 do for you? No more buying toxic cleaning chemicals. No more buckets of dirty water. No more getting on your hands and knees. No more neglected cleaning tasks. Truly kill germs when you clean. Clean things you couldn't get clean before. Limit repairs: Clean things last longer. Restore Items: Don't have to replace things like furniture, floor mats, etc. 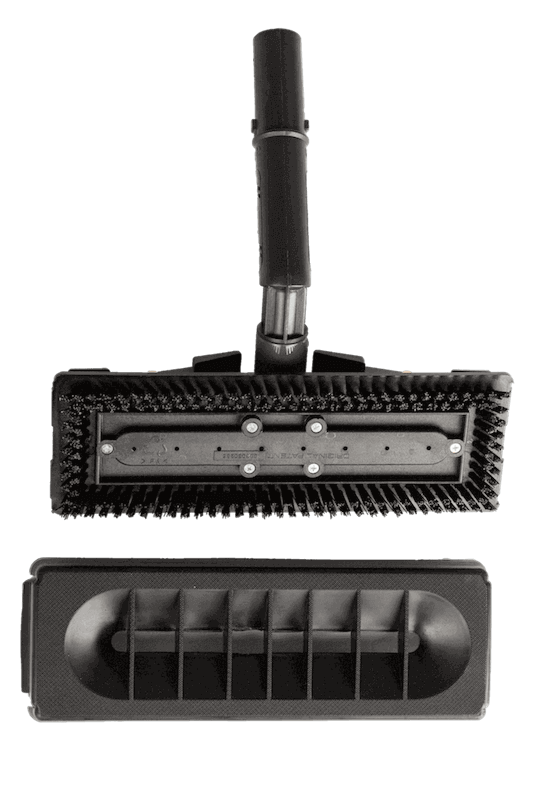 What makes The Gr8 Steam Cleaner so outstanding? 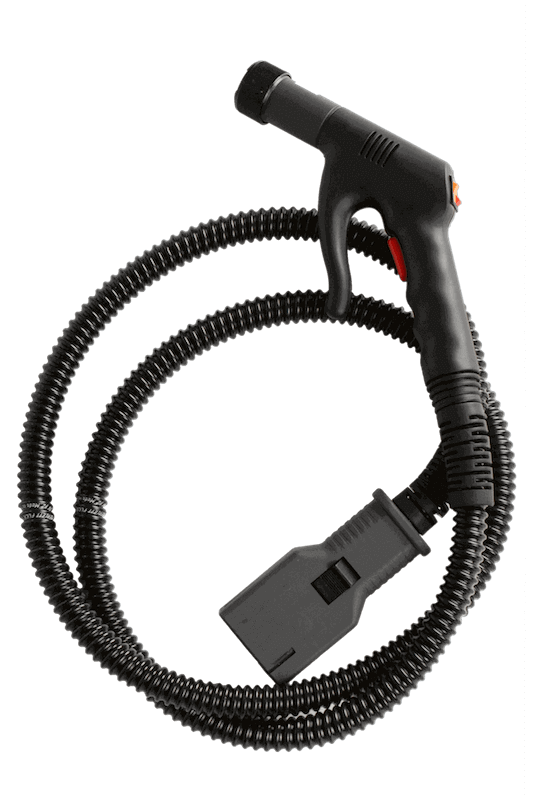 The attachments and the hose are so easy to connect together you will soon be able to connect them by feel. You won't even have to look at them. Made with high quality, long lasting materials that are assembled with precision in Italy. The safety cap cannot be removed while the Gr8 is under pressure. When the water is used up and the pressure has dropped to zero, a spring inside the cap drops so you can immediately remove it and refill your Gr8 Steam Cleaner. It is very important and simple to drain the minerals from your Gr8 Steam Cleaner. 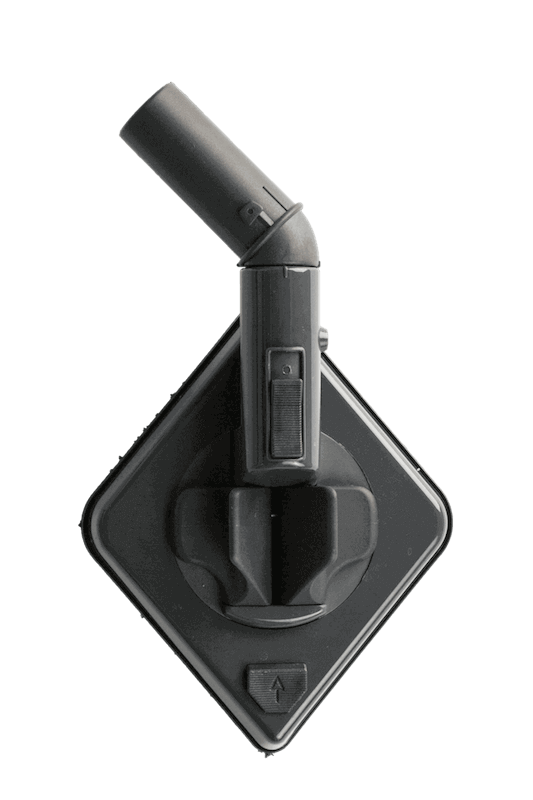 The safety cap has a built in wrench that removes the drain plug from the bottom of your Gr8 Steam Cleaner. Draining the water from the tank will remove the hard water minerals. If there is no water left in your Gr8 Steam Cleaner from the previous use, simply add half of a filler bottle of water to flush the hard water minerals from the boiler tank. Keeping your boiler tank free of minerals is as important as emptying a vacuum cleaner bag and a lot more pleasant. Many brands of steam cleaners stop working because they have no way of emptying the minerals from their boiler tanks. We suggest that you drain the minerals from your tank a minimum of once a month. 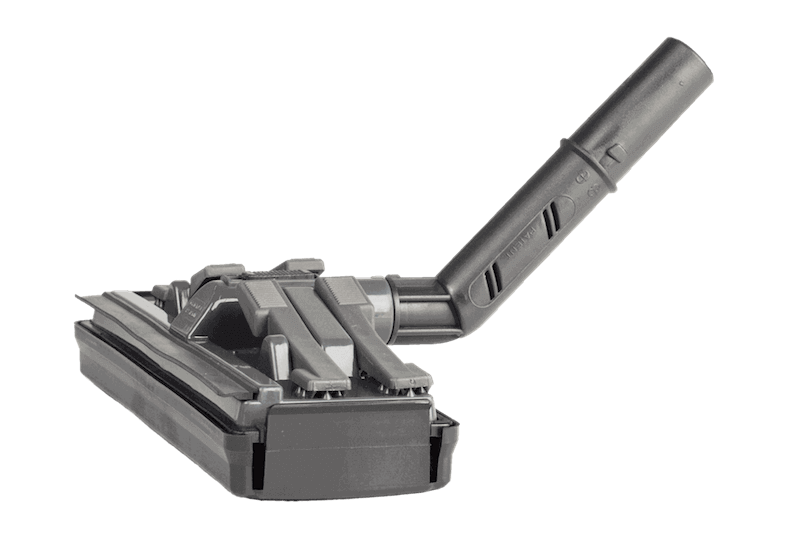 Ring connectors are far superior to the pop up button type connectors because they allow you to put the attachments together in either an “up” position or a “down” position. An attachment in the “up” position has a completely different “angle” than one in the “down” position. high shelves or ceiling fans. 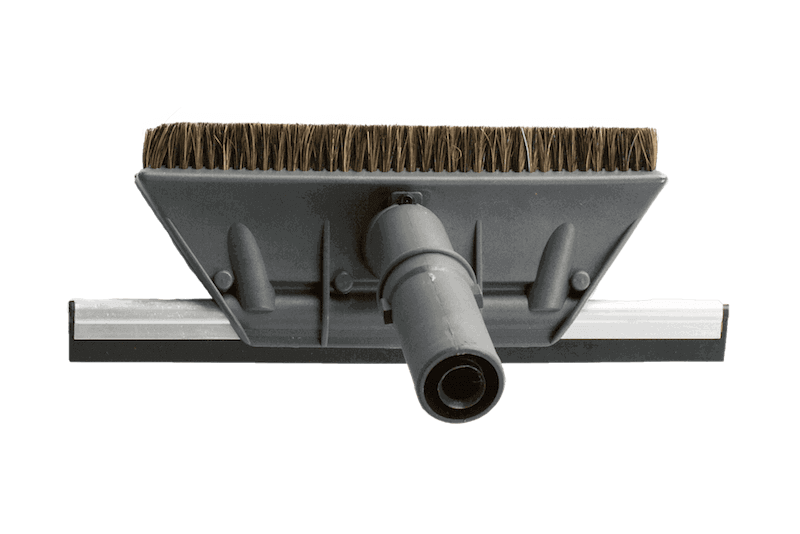 The rectangular floor brush gives you choice whether you want to use it in a stable position or allow it to swivel. 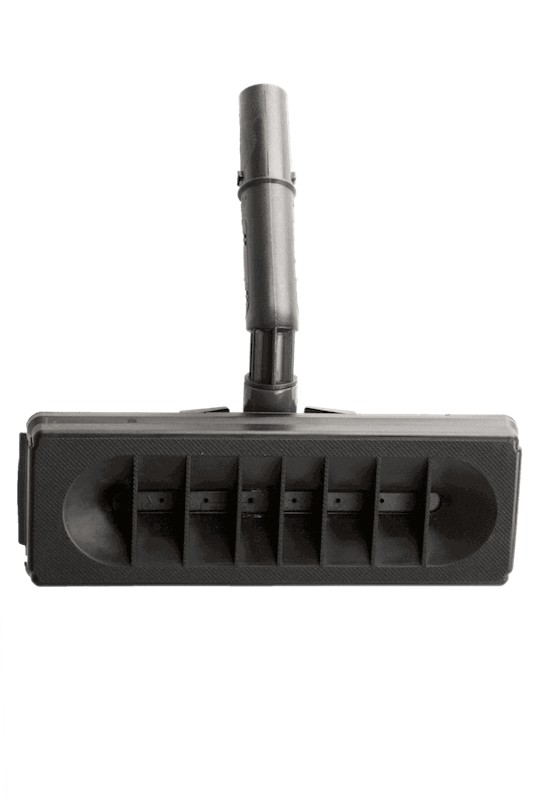 Swivel works best on floors and walls while ceilings need the stable position. 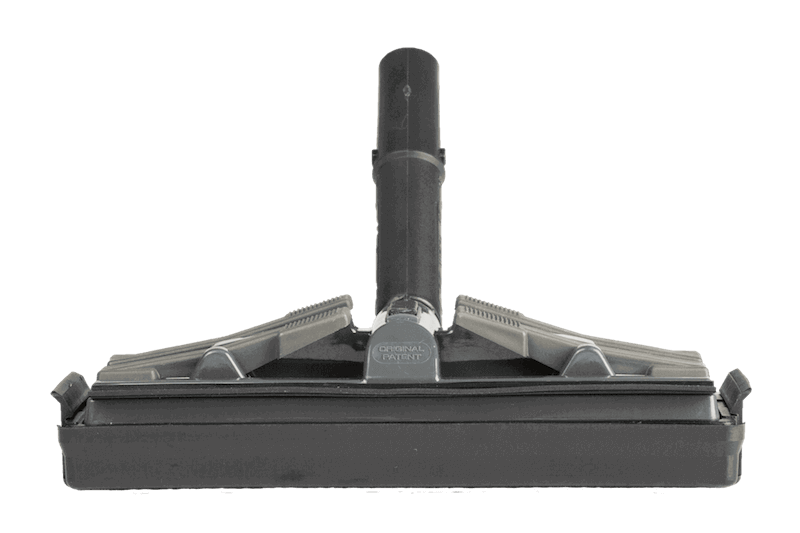 The diamond shaped attachment is truly remarkable because you can choose the swivel or stable option but you can also rotate it into four positions so you can choose whatever angle makes the best contact with the item you are cleaning. 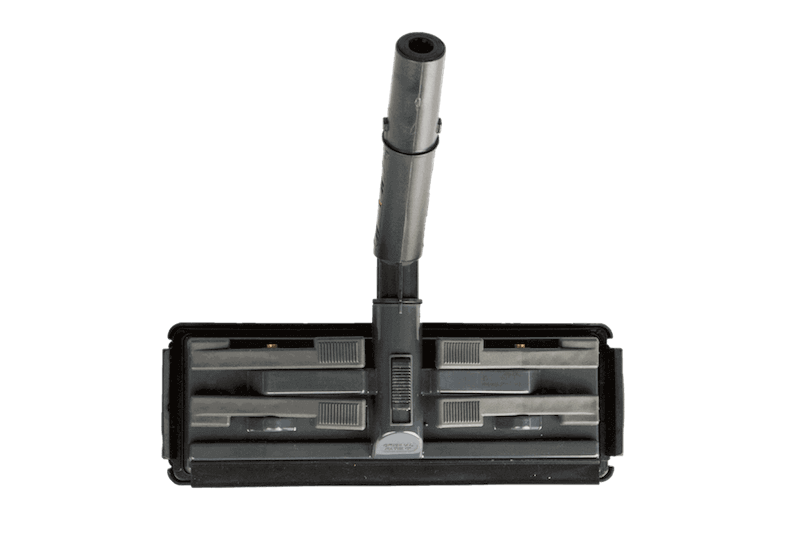 The floor attachment is best used to clean large areas such as floors, walls, mattresses, counter tops. 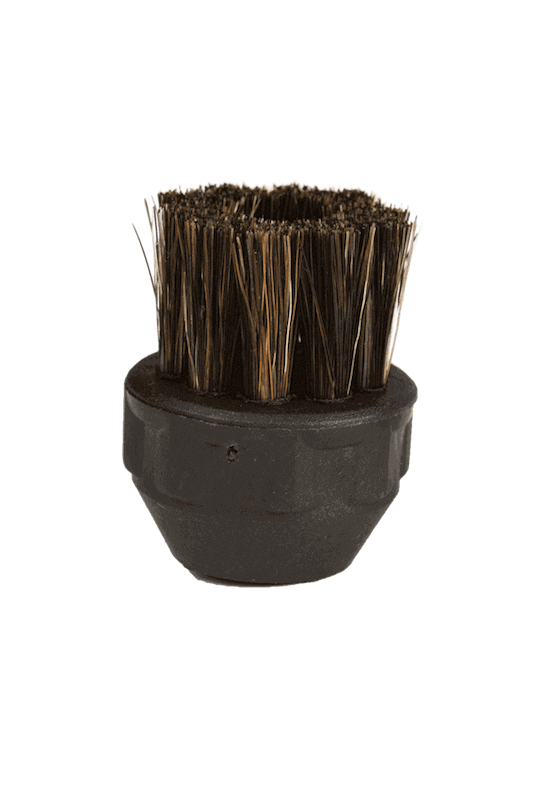 Under the removable plastic cover are nylon brushes so when the cover is removed you have a high powered scrub brush. 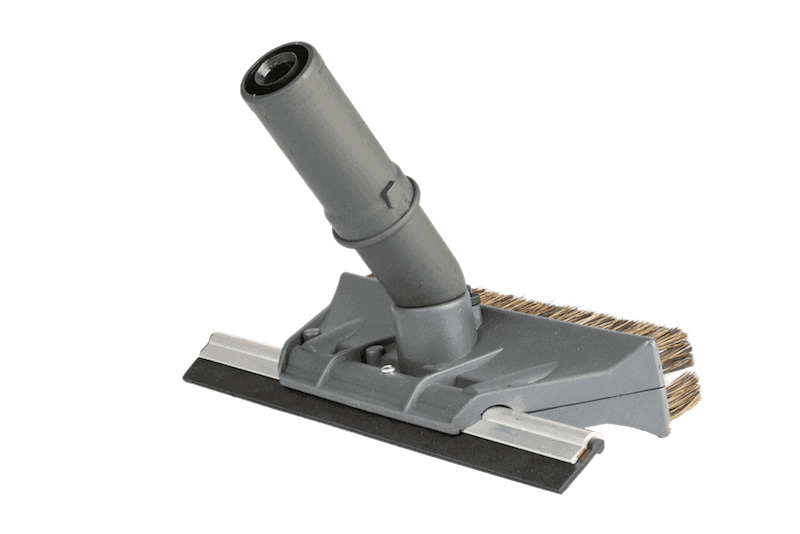 Along the front of the floor attachment is a rubber squeegee that you can use to squeegee up any excess moisture or dirt. 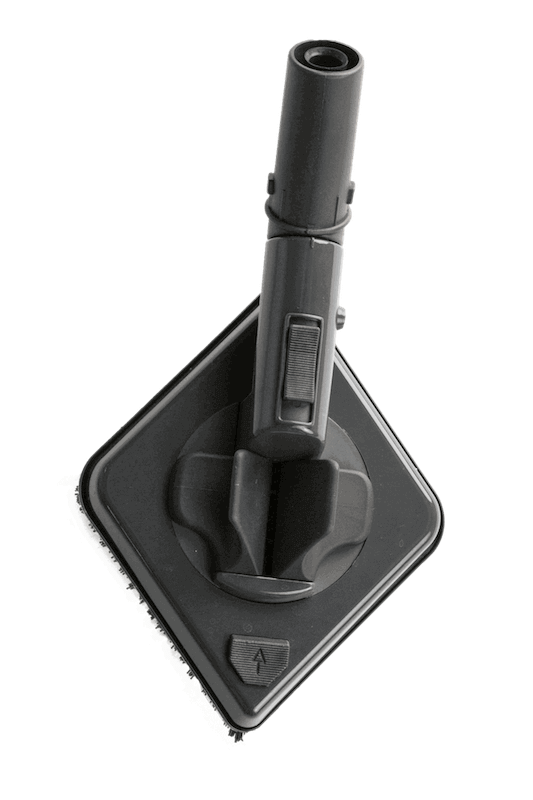 A sliding button on top of the floor attachment allows you to choose either a swivel position or a fixed position. 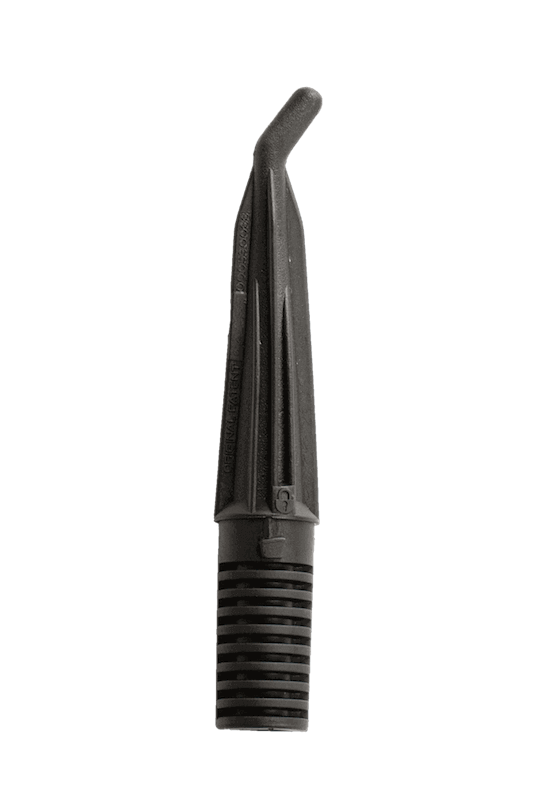 The diamond shaped attachment can be used with or without a cleaning cloth. 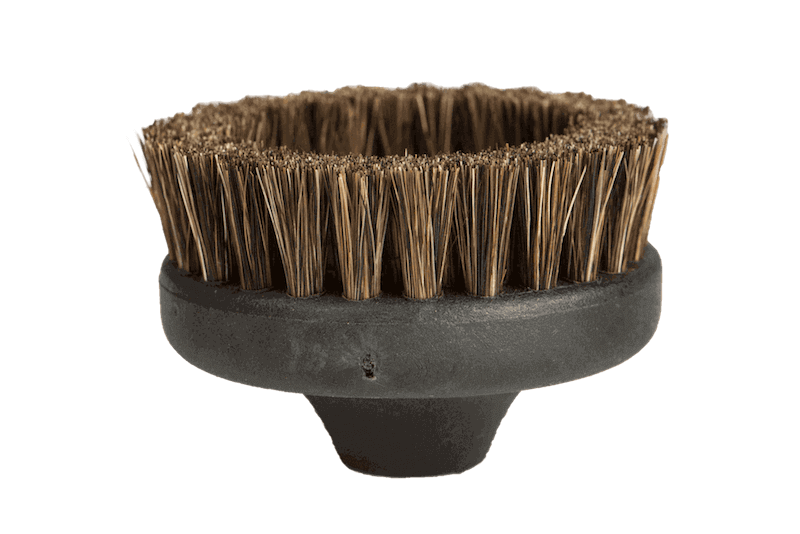 Without a cloth, the nylon brush becomes a high powered scrub brush to remove heavy soil in places such as showers, bath tubs, floors, under the refrigerator or stove. 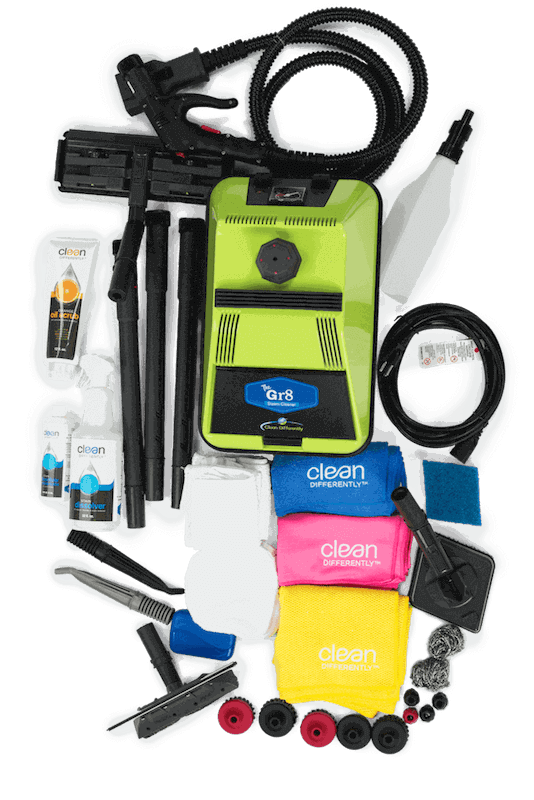 Cover the attachment with one of it’s custom fitted cleaning cloths or use the clips to attach a microfiber cloth and clean counter tops, chairs, fronts of cupboards, upholstered furniture, window blinds, window screens, woodwork, baseboards or the inside of your car. 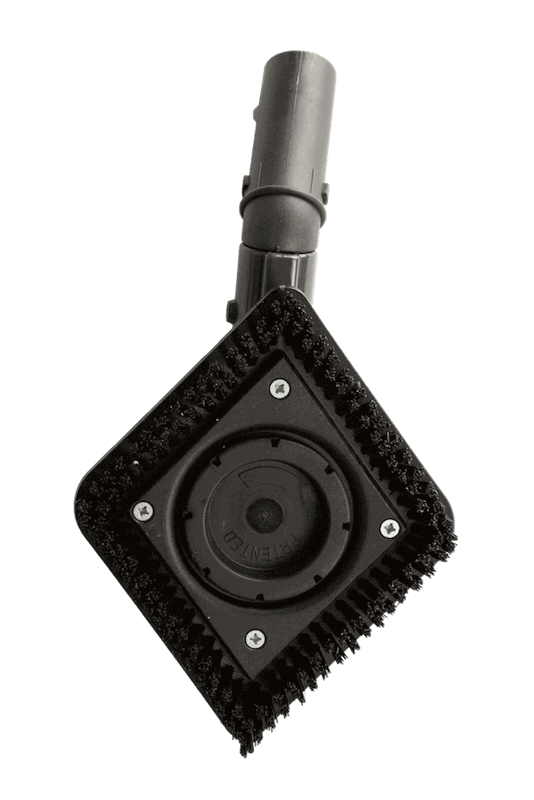 A sliding button on top of diamond attachment can be set in either a fixed or a swivel position. The fixed position works best when the attachment is connected to extension wands. The swivel position works best when connected directly to the hose. the top of a door frame. 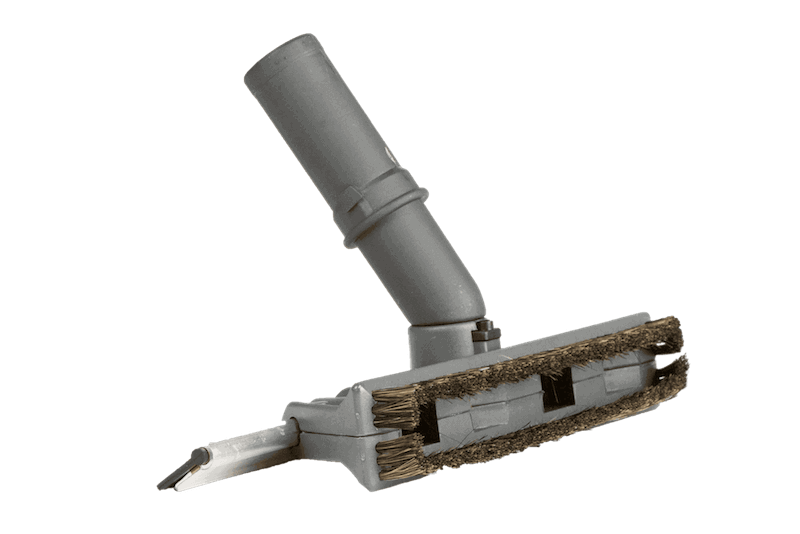 The window squeegee is a two sided attachment. 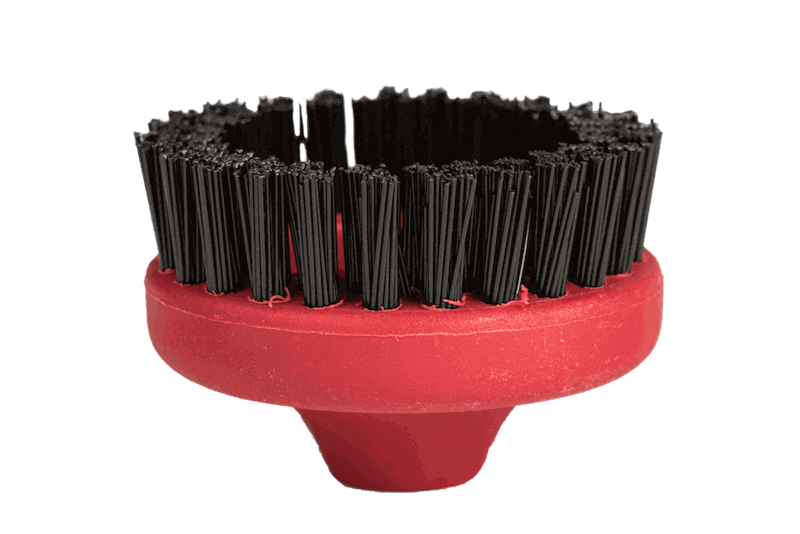 One side applies steam and loosens the dirt with it’s soft horse hair bristles. While the other side has a squeegee. Spin the attachment half way around and the squeegee is immediately ready to squeegee the window dry. 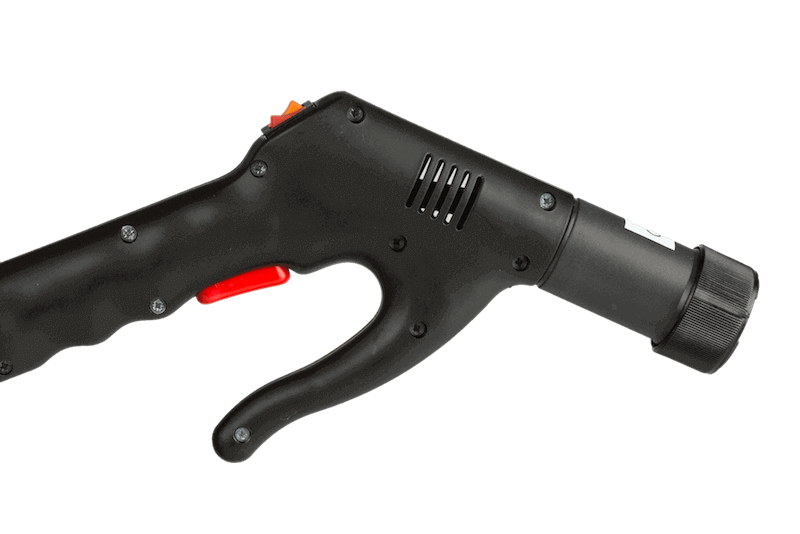 The steam nozzle concentrates all 50 pounds of the steam pressure through one small hole. Its the detail tool that has endless uses. It cleans cracks, crevices and corners. 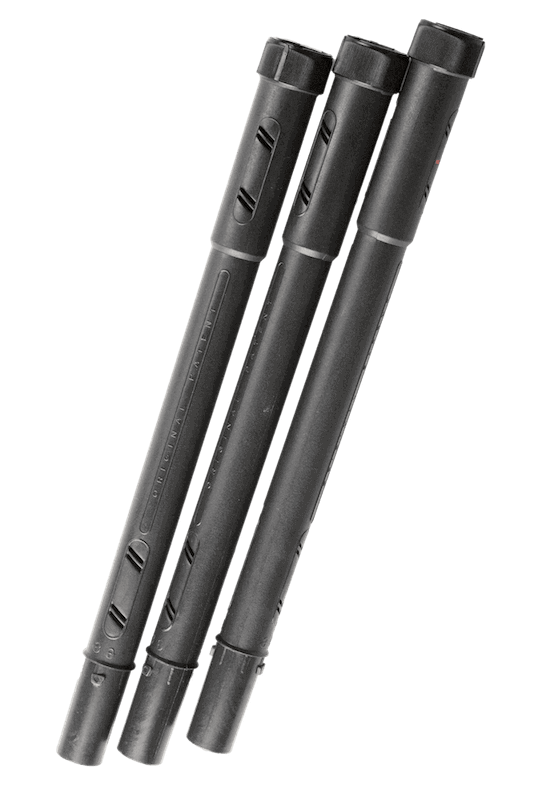 Can be used alone or with several different small brushes attached. 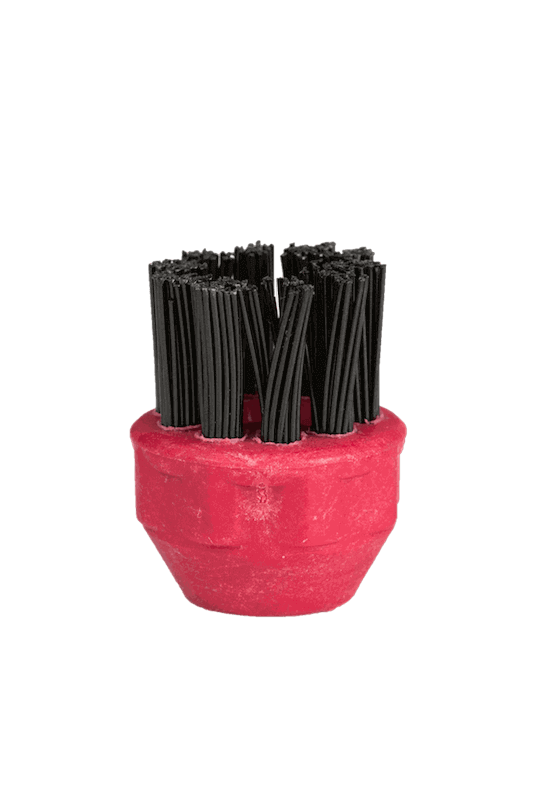 These are friction connection brushes that attach very quickly and easily. There are one inch brushes and 2 inch brushes. 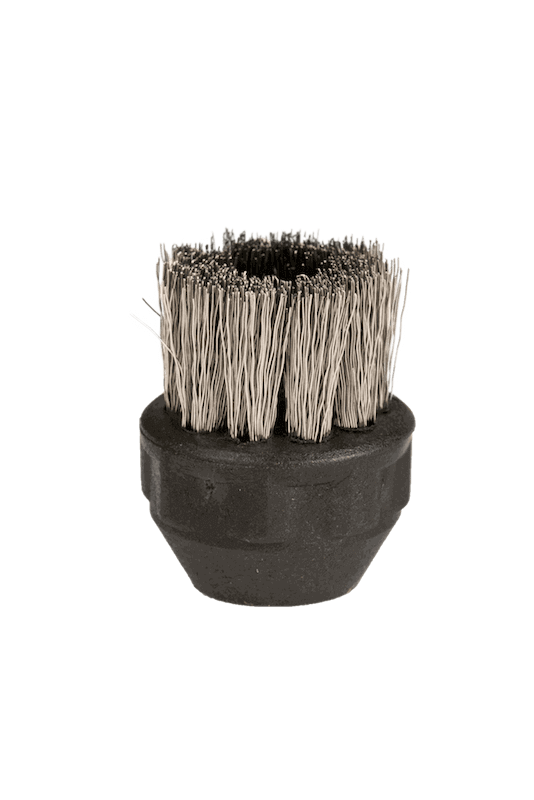 They have soft, hard or stainless steel bristles. 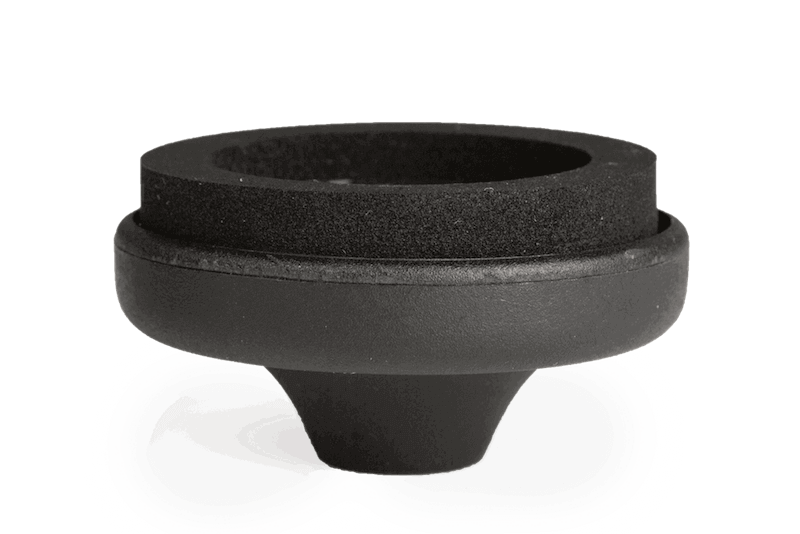 One two inch comes with a rubber gasket that forms a seal in sinks or wash basins so the heat and pressure can unplug a clogged drain. Weight – Steam Generator – 15 lbs. Our mission is to be a highly profitable, always evolving company with happy, innovative employees that make it possible to provide our valued customers with the very best and most efficient steam cleaners available, with unparalleled education and unexpectedly superior after the sale service. Our three major values of INTEGRITY EXCELLENCE & RESPECT shape our attitudes and guide every action we take and every decision we make.